Torrent is the best way to transfer large files. It works on Peer-To-Peer file sharing protocol in which one person uploads a file with .torrent extension for others to download. Along with a huge community network for sharing files including both private and public torrent files, the maintenance of seeders and leechers ratio becomes important. Torrent communities support seeders because of a simple fact that it would help more people in getting torrent. It ensures rather good speed for other people as they contribute to seed torrent file. In order to share a file, one can create a torrent easily but a daunting task is to make sure it reaches a huge population all over world. While there are thousands of sites to upload torrent online, I have picked up the top 10 websites with huge user data base to upload torrent files. This would help your torrents to reach a wide audience. Warning: Peer-to-peer (P2P) sharing is completely legal as done through torrents. However many copyright protected materials are shared through torrents which is illegal and ShoutMeTech doesn’t support such stuff. This article strictly suggests not to indulge in uploading or downloading any copyrighted material. If done so, it is at the sole responsibility of the reader and neither ShoutMeTech nor the author can be held responsible in any manner, whatsoever. This has been the favorite place for people to upload and download torrents, for quite some time. It provides with a large variety of torrents and there are less chances of any malware or key-logger attacking your system through torrents of PirateBay. 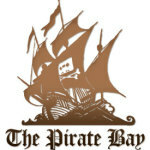 After it’s release in 2003, pirate bay community has grown at a tremendous rate with good quality torrents. It has faced quite a lot trouble and blocking in many countries by now, which is creating a void in torrent community. But this void is being filled by many other newly-born torrent sites, we’ll look at, in this post. One of the largest torrent sites in the world. It offers good community support through comment & feedback system and one may find reviews of specific torrents really helpful while planning to download. The health of each torrent is indicated along with the amount of seeders and leechers corresponding to each torrent file. If you’re in search of a place that has a very large database of torrents, then look no further than SeedPeer. 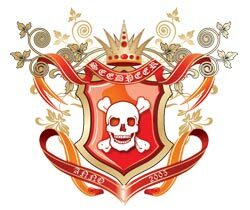 This site was started in August 2005 as Meganova (which was really very popular all over the internet) and later renamed to SeedPeer. It provides with a clean looking and basic interface without any advertisements to annoy. It is said to have more than 3 million torrent database. So, this might be a very lucky site for you to upload your torrents. Torrent sites can be always found with a lot of adult ads; but 1337X is one of the site where you would find no ads and ultimately love the experience of sharing torrents. 1337X was started to fill in the void in the torrent community created due to lack of quality conscience and ad free torrent sites. It focuses more on community aspect of P2P sharing and offers a large variety of torrents. It claims to hold the largest no. of Bit Torrent Indexes. It offers ad-free searching of torrents and provides really pleasing experience to it’s users. It provides a comment system which many people trust on before downloading torrents. It offers direct download of torrent along with usually found options like downloading torrent file and magnetic link for torrent. Overall, it provides a good experience because of it’s clean user interface and ad-free style. A very popular torrent site among many users across the world. It offers a unique feature which is “verified-status tagging”. Many users rely on this feature to know about the quality of torrents provided on the site. Due to a lot of ads, the interface sometimes feel cluttered. Newbies may find difficulty in figuring out the actual link to download torrent and the sponsored ads link. Overall, it is definitely worth a try. Long known for it’s trustworthy community, demonoid has now shifted to a new server and domain name Demonoid.ph. 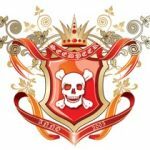 It offers private membership and the user community offers full support about the quality of torrents along with warnings about which torrents to avoid. It is one of the biggest player of P2P torrent sharing network. It offers quick links in the initial searches and enable to quickly grab a torrent. The no. of seeders, no. of leechers, size and download-to-upload ratio really helps in quick scanning about torrents. Uploading torrents to TorrentHound would be sure shot way of making people download your torrents. It is not just another torrent site! Fake torrents often are a pain to many, but with torlock, there are no more fake files. Yes, this seems impossible first, but it’s true. Torlock pays commission to it’s members for finding and reporting out fake files and torrents on it’s network. This service is worth a try. If you upload good torrents, you’ll get higher number of downloads and for a downloader it can be a source of making some quick bucks. Another great site to upload torrents. Despite of being blocked in Italy, it receives a tremendous amount of visitors daily. Uploading your torrent to this site would ensure a lot of traffic. You can tag your torrent in different categories such as Anime, software, games, movies, music etc. which would further ensure more flow of traffic. So, this was our list of torrent sites to upload your torrent file. These sites receive a lot of traffic and are highly trusted. Uploading torrent on these sites would ensure a huge amount of traffic flow to your torrents. I’m curious to know which site do you prefer to upload your torrents on? Let us know through the comments section below.